Born in 1950, artist LIM Ok-sang lived through Korea's turbulent contemporary history. With his works which deliver an astute critique of the society and politics, LIM is widely considered a leading figure inminjung art (people's art). His art always conveys inspiration along with social message, brining consolation and encouragement to viewers. In particular, his work called "Standing in the Square," which depicts candlelight protests of 2016 which led to a presidential impeachment, was highly praised as a "monumental piece of historical painting": the painting now hangs in the presidential Blue House. While it was this painting that brought him recognition with the public, LIM has in fact been working vigorously for the last 40 years, his medium ranging widely from painting and sculpture to performance. 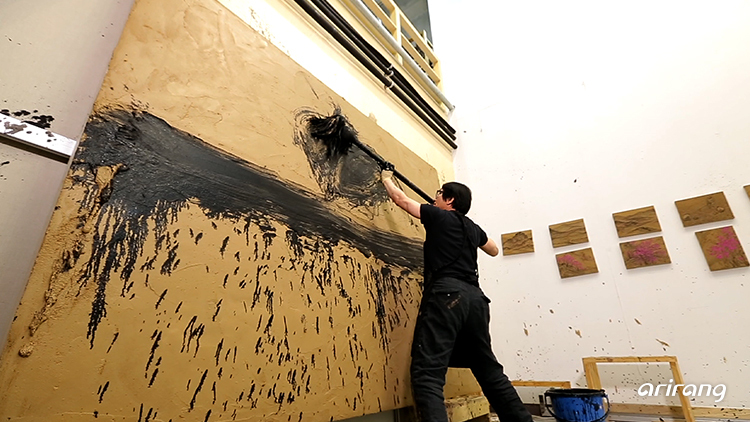 His recent show in Hong Kong showcased his latest works under the theme of 'heurk (soil)' – the source of everything. LIM depicted human beings as soil, hoping that the people of our age do not lose the spirit of soil. THE INNERVIEW meets the master of Korean minjung art, LIM Ok-sang, to dis his art.